It all began on April/27, the day that I also launched my free day with Amazon Kindle Select program. And some more to come. So come back any time for an update. Enjoy my take on the promo bits. The long wait is finally over. The initial reviews were nothing short of perfect. This project spanned several individual hero movies to converge into this one over-the-top adventure. Hulk, Iron man, Thor, Captain America, Black Widow and Hawkeye comprise this Avenger initiative to save the planet, or in the words of Nick Fury: to fight the wars we can’t. The banished Lucky appears on Earth to take possession of a power cube capable of opening a portal for an invasion army. His goal: rule Earth as a starting point to conquer the universe. Making so many dysfunctional heroes—and their egos—work together is a difficult, even daunting, task all on itself. This ensemble cast worked a lot better than the original G.I. Joe, of course, the first half of the movie is used fighting among themselves, but that is good character development trait. I mean, they are not the Brady bunch to just get together and form a team out of the thin air. The advantage of the actors, having played the same roll before, gives them a confidence that transcends the screen. 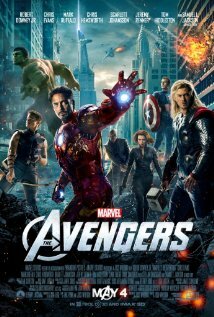 With the exception of Mark Ruffalo and poor Hulk that has gone through three different actors in as many movies. Still, the actor was able to hold his own. The effects of Hulk are also very good. Is the movie entertaining? Yes, very much so. My wife and kids vowed to buy the DVD as soon as it comes out. Does it have any negative things? A few, but they do not diminish the overall experience. The only thing that got me thinking was Hulk and the lack of explanation how Bruce Banner manages to control the beast during the final battle whereas it was a disaster the first time. 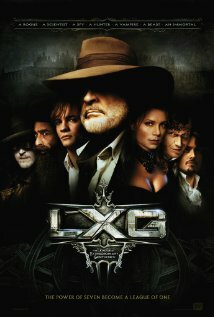 Still, I could not fail to see the similitude to Sean Connery’s final movie The League of Extraordinary Gentlemen. The premise of a group coming together to save the planet is pretty similar. The great Short.Store-Me website recently published a short story of mine titled Blind Living. The story is about a blind guy who goes to extreme measures to secure some much-needed quality time with his girlfriend.